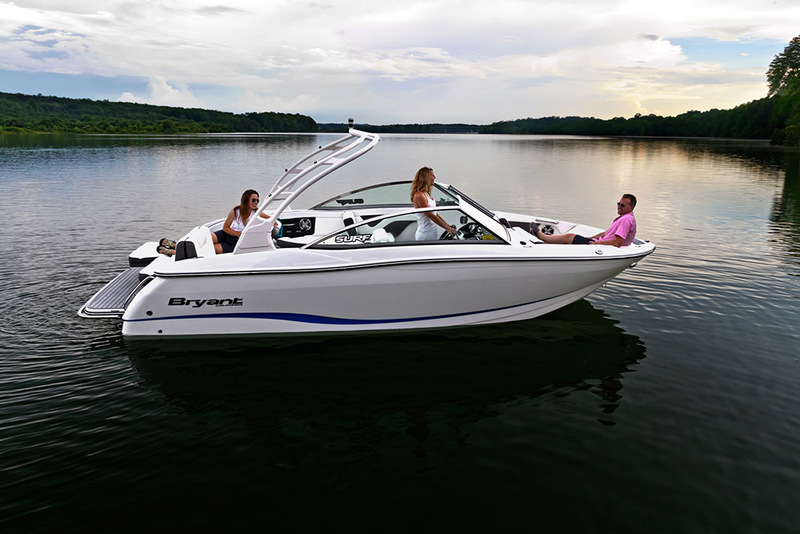 Summer Water Sports is now a dealer of Bryant Boats. Headquartered in Tennessee, Bryant is known for building some of the longest-lasting boats on the water, perfect for crusing the Muskoka lakes! Bryant Boats feature hand-laminated fibreglass and 100% wood-free construction. Bryant is the first, and only, manufacturer to locate the fuel tank in the bow of every boat. This “Quick Plane Design” allows for quicker planing and better performance on the water. 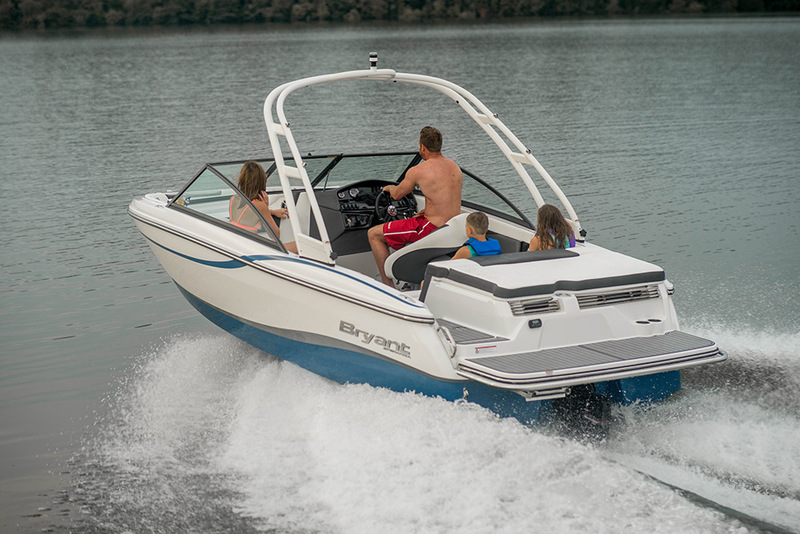 Bryant Boats are versatile and cutomizable. Build your Bryant, then contact Summer Water Sports to make it a reality! The newest member of the Bryant fleet, the Calandra combines style and sleekness with a roomier-than-ever interior. The result? A new era in luxurious comfort—that doesn’t sacrifice agility and performance on the water. There’s so much to notice about the Calandra, from the customized windshield to the arching frame; from the hinged seats to the sun-proof earth-tone vinyls. We’ve taken the extra effort to make everything about this boat feel right—and when you see it in person, you’ll know what we mean. The Potenza is not only Bryant’s biggest model, it’s arguably the most luxurious. With room enough for more than 18 passengers, it’s the perfect option for taking the whole group cruising, or just sitting in a cove having some laughs. 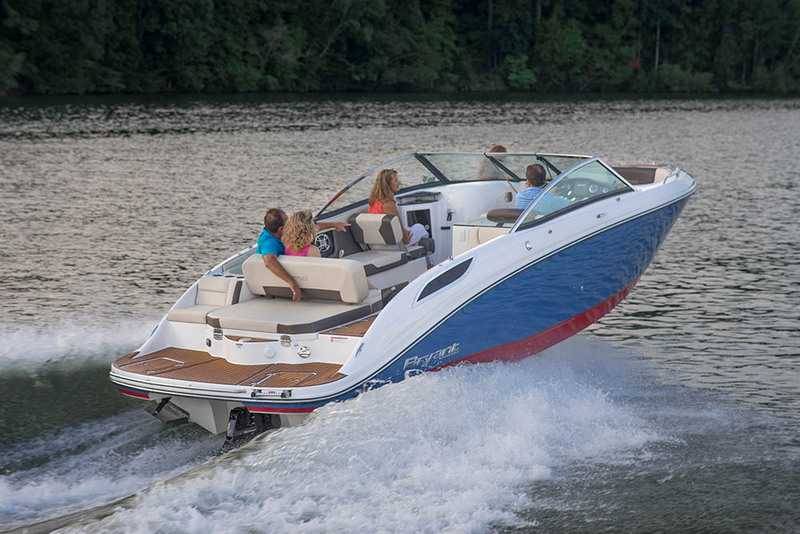 With its sleek and sporty appearance, the Potenza doesn’t look like your average “large boat.” In fact, it’s the perfect combination of size and performance, guaranteed to ensure that your day on the lake will be just as comfortable as it is unforgettable. Book a Bryant Test Drive! The day and month you'd like to have your Kawasaki Jet Ski test drive.